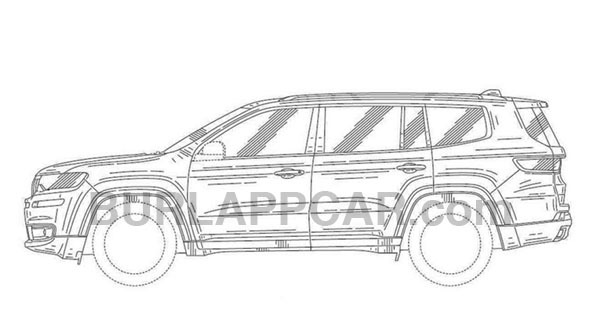 So, Jeep Durango. What a waste. Looks too feminine! Lost it many of it ruggedly masculinity! More minivan then anything else look! It height is a bit short too! I think this is the Wagoner! The placement of the front tire, as well as the long front overhang, would suggest a FWD-based architecture. 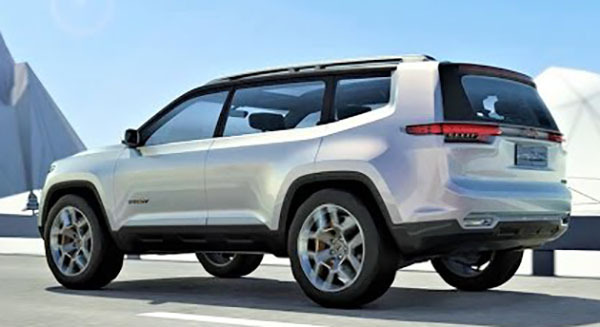 Worse still, why is Jeep making all its SUVs look like everybody else's mostly ugly SUVs? It looks like it has minivan proportions. 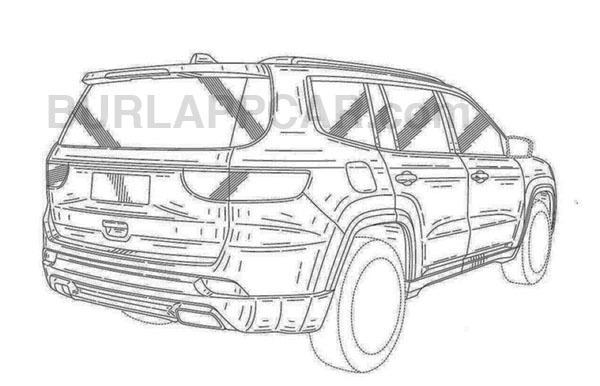 If it wasn't for the absence of rear sliding doors, I would say this was Jeep's version of the Chrysler Pacifica. 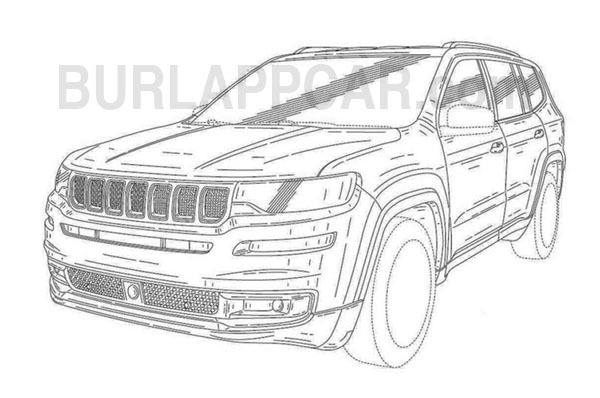 I believe they will come out with two (2) 6/7-seat SUV's. This looks like the smaller of the two, about the size of a Toyota Hylander; and build on a stretched Cherokee ( not Grand ) platform. That one also may appear only as a Chrysler Brand in the US. 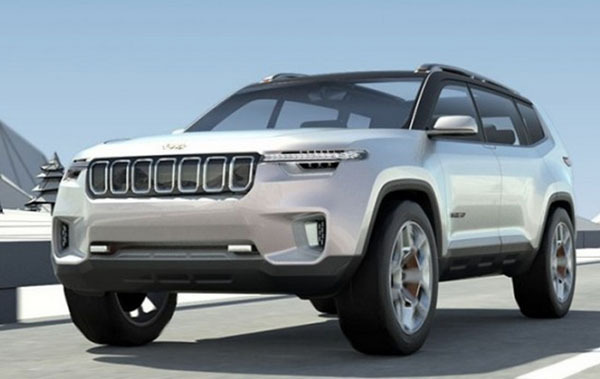 The other, more of a "true" Jeep (off-road capable, unlinke 90% of the SUV's we see today) will be the size of an Escalade or Navigator -- and probably in that price range as well. 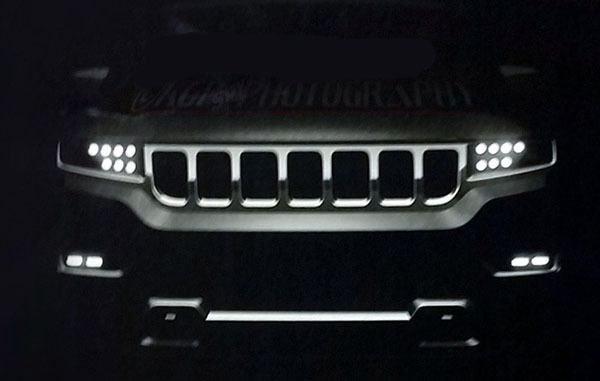 Unlike Escalade, Navigator, Sequoia, GLS, X5, Range Rover or QX80; the large Jeep will be as capable off-road as on. With Jeep's unique 4x4 system than can instantainiously transfer any % of power to any 1 or combination of wheels at any time--always matching the %of power per wheel to the % of traction available at each wheel. ( Its why Jeeps don't get stuck where everything else does. ) ...and no, I'm not a jeep fanboy and never worked for FCA--just giving you the facts.